'The Life Cycle' is a film made by University of Cumbria final year outdoor studies student, Lizzie Gilson. Lizzie's film was named Best Student Film by the British Mountaineering Council’s (BMC) Women in Adventure film competition 2017. 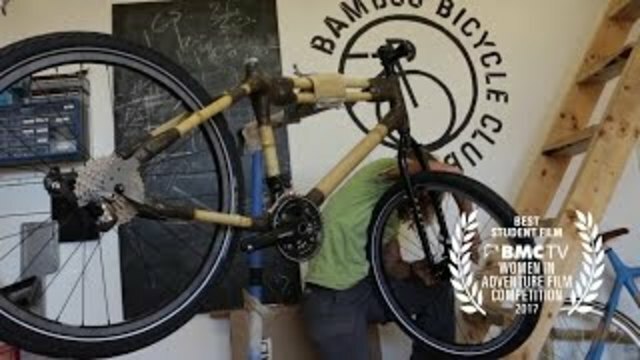 The film charts the construction of a bike made of bamboo that former University of Cumbria lecturer Dr Kate Rawles, from Ulverston, is currently peddling the length of South America, from Cartagena to Cape Horn following the spine of the Andes and exploring biodiversity along the route. ‘The Life Cycle’ film was made to raise awareness of critical environmental and biodiversity issues through adventure. Shot and edited by Lizzie Gilson. Music by Terry Devine King - Bicycle. Thanks to The Eden Project and The Bamboo Bicycle Club.